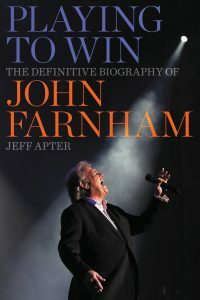 Win a copy of Jeff Apter's John Farnham biography, PLAYING TO WIN | Daily Review: Film, stage and music reviews, interviews and more. Daily Review has FIVE copies of Playing to Win to give away. 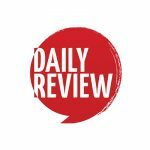 This competition is promoted by dailyreview.com.au and will be drawn on 2/12/2016. The competition is open to residents of Australia and New Zealand unless stated otherwise. Information on the method(s) by which the competition can be entered are found here. Daily Review does not endorse, take responsibility for or provide a warranty of any kind for the prize(s) offered in this promotion, nor do we provide any transportation or accommodation that may be necessary. By entering this competition, you allow Daily Review to share your contact information with the company/companies providing the prize(s) to enable delivery of the prize(s). John played to win my heart the moment he walked on stage at the Myer music bowl singing Sadie back in the early 7os. It’s never skipped a beat in all that time to his music,sense of humor and humility. And a smile to bring me to my knees. Wonderful achievement. Could not have happened to a better bloke! Love all of Jeff Apter’s books.